I'm not always the most introspective person, but there are three things about myself that I know for sure — 1) Coffee is my reason for getting up in the morning; 2) Netflix is my spirit animal; and 3) trying out new beauty products gives me life. That's right friends, I lead a deeply profound existence. But one of the benefits of the latter is that my beauty-junky tendencies mean I get to share new discoveries and holy grail items with you guys, saving you time and money testing out products for yourselves — don't say I never do anything for you. 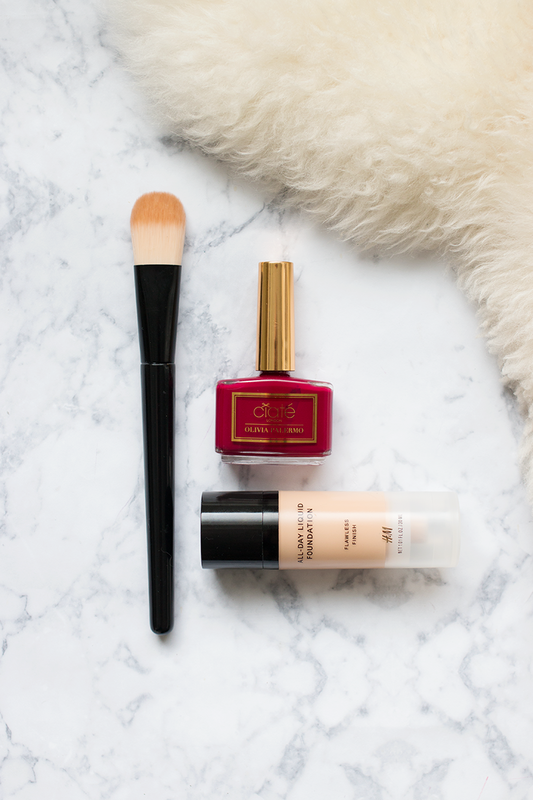 So with that in mind, here are a few of my current beauty favourites, new and old, for your perusal... and as always, feel free to share your current favourites in the comments below (refer to point three re: beauty products giving me life). Now I know I talked all about them before (remember? ), but TRESemmé's Beauty-Full Volume Pre-Wash Conditioner and Beauty-Full Volume Shampoo bare repeating; they're just too good for their price point not to share with you guys. 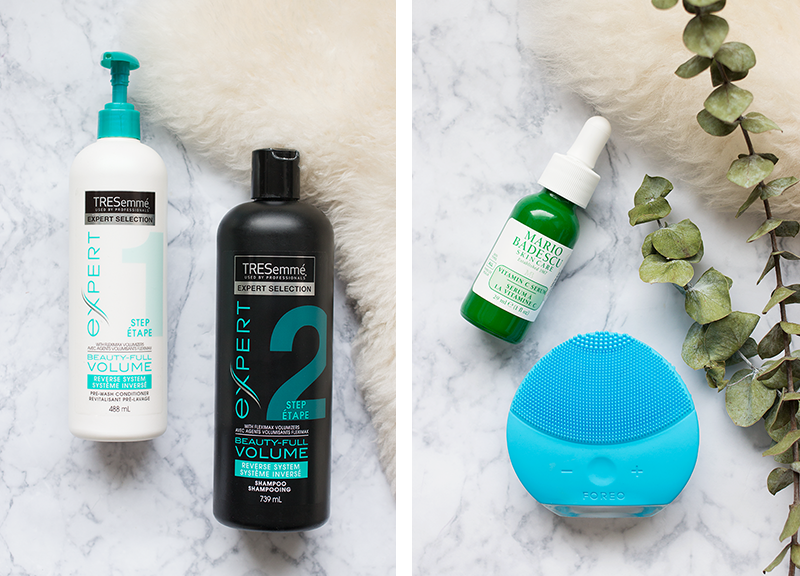 If you haven't heard of this system before, it's specially-formulated so the conditioner goes on first, followed by the shampoo, to give hair an instant volume boost... it's good stuff. 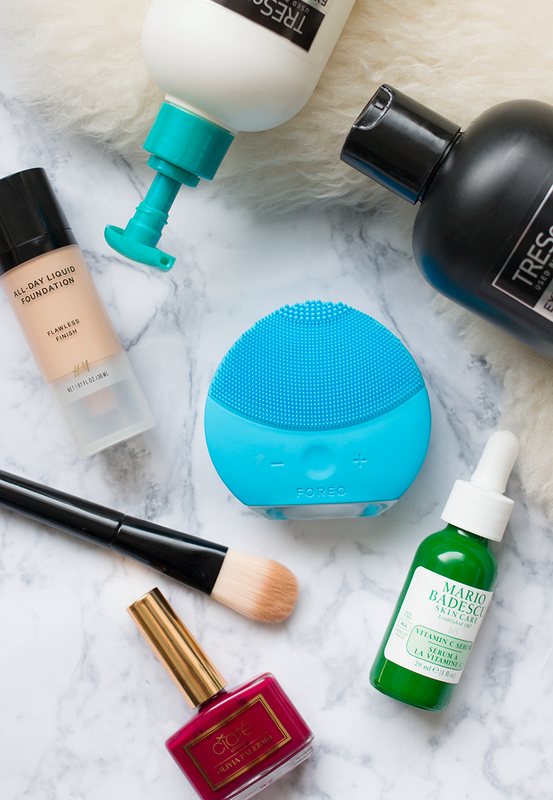 Now I know I'm totally late to this party, but I'm OBSESSED with the Foreo Luna Mini. I have a Clarisonic, but I always felt like it was too harsh for my skin (despite using the sensitive brush), but this product is so gentle that I'm completely hooked. I try and use it every night, although with moving that hasn't always been possible, but each time I use it I wake up to much clearer looking skin. #HolyGrailStatus. Another recent discovery for me is Mario Badescu's Vitamin C Serum, which I've also really enjoyed using lately. It helps improve the overall appearance of my skin, so when used in combination with the Luna, it's like magic. The only downside for me with this one is the smell, but I can look past that for the sake of glowing skin.